This pack contains: Active model, small size menstrual cup, carry case, satin carry pouch and instruction guide. Explore the entire range of Intimate Hygiene available on Nykaa. 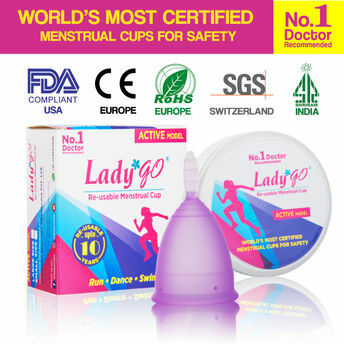 Shop more LadyGo products here.You can browse through the complete world of LadyGo Intimate Hygiene .Alternatively, you can also find many more products from the Ladygo Reusable Menstrual Cup Active Model range.